We love camping with the family. In fact, we are heading out to go camping for a few days shortly. As our youngest gets older and can stay up now around the campfire, I like to find games that kids of all ages can play. Charades is a great one but often little ones need help thinking up ideas. 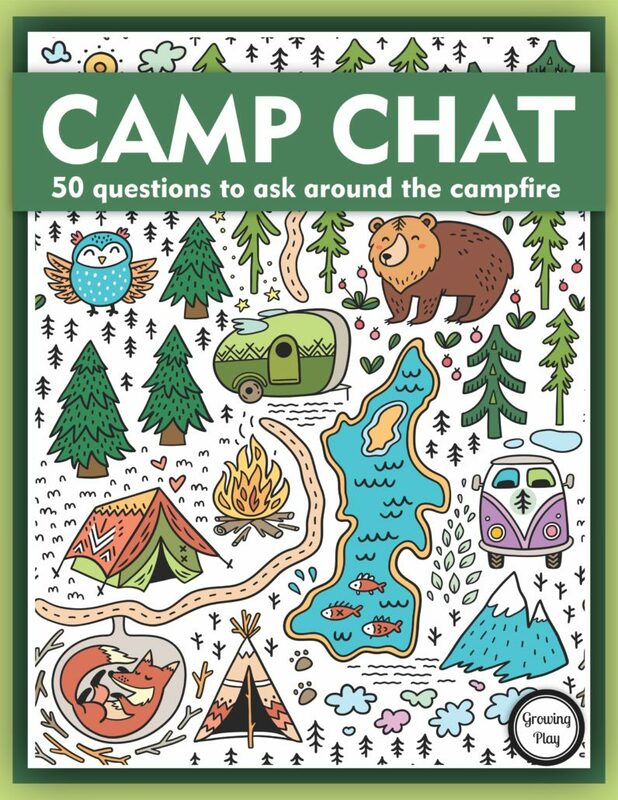 I created this camping charades game for kids so the little ones can play without help. Instead of just a word, a picture is included for non-readers. When it is time to play, younger kids can pick a slip of paper from the bag. Act out the camping word without making any noise. Everyone else playing has to guess what the player is acting out. For older kids and adults, they can pick from the bag or come up with their own ideas. Another option for the older kids and adults is to provide blank slips of paper. Each person writes down an idea on each slip of paper and puts it into a bag. When an older kid or adult takes a turn they pick from this bag. When the players are guessing, they are not allowed to yell out the answer if they realize it is the charade they wrote down. 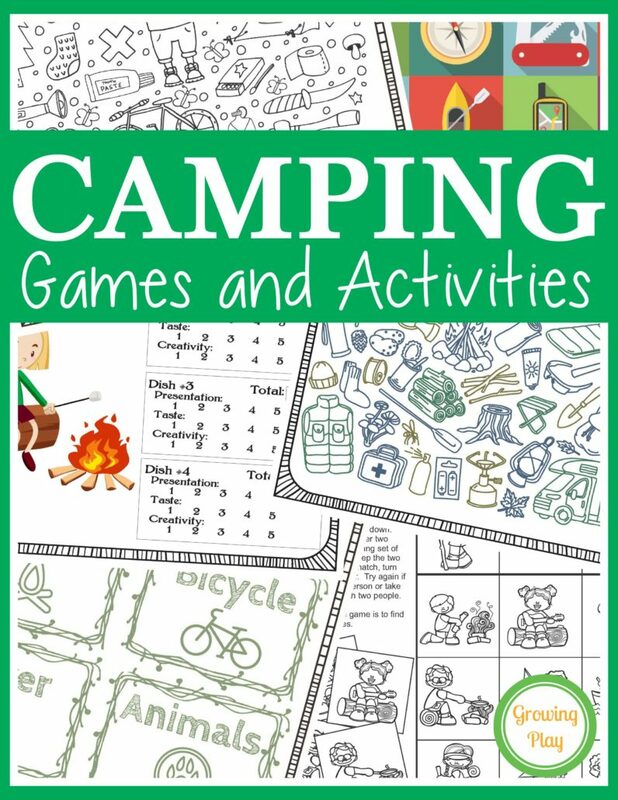 Check out my suggestions for the 6 best games to bring camping. 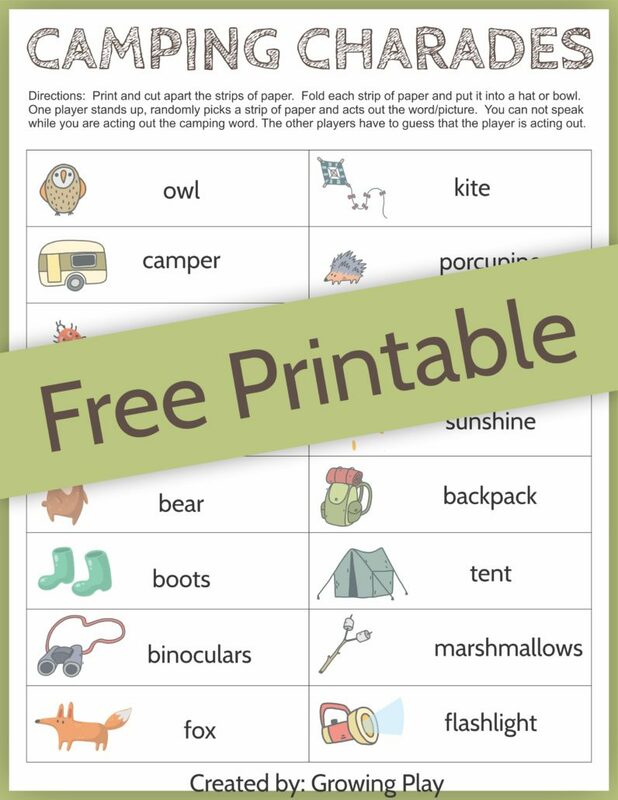 Download the camping memory game for free. Sign up to receive the Growing Play weekly email newsletter and announcements. The download will open in a new tab. If you already subscribe, just enter your email and you will be redirected to the download.